This morning the Washington State Supreme Court issued their latest order on the McCleary case detailing whether or not the state has met its responsibility to fully fund education. In a unanimous opinion the Supreme Court ruled that the state’s plan to fully fund education will provide enough resources to meet its constitutional responsibility to fund basic education, but the Court also stated that the timeline for full-funding put forward by the state takes too long. Basically – the policy and structure are good, but the state needs to pay for it faster. In the order, the Court details each funding stream that constitutes the Washington State Legislature’s plan to fully fund education: Materials, Supplies, & Operating Costs (MSOC), transportation, categorical programs such as the Learning Assistance Program (LAP) and the Transitional Bilingual Instruction Program, staff salaries, K-3 class size reduction, and full-day kindergarten. The Court concludes that when fully funded according to House Bill 2242, the funding amounts will be sufficient to provide for an amply funded basic education. However, the Court reaffirmed their requirement that the state fully fund education by school year 2018-19 (specifically, September 1, 2018), which is consistent with the Legislature’s original self-imposed deadline they set in 2009 with the passage of House Bill 2261. The State’s current trajectory will fully fund their plan in school year 2019-20, one school year after the deadline. 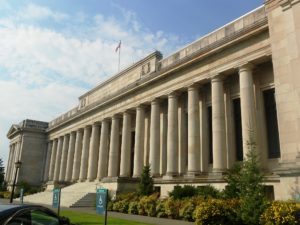 Since the Legislature’s trajectory to fully fund education doesn’t meet the deadline specified by the Court, the Legislature will continue to be held in contempt by the Washington State Supreme Court. The Legislature will continue to be fined $100,000 per-day for each day they are in contempt, until they pass and fund a plan that will fully fund education by the start of the 2018-19 school year. The Court is requiring the state to enact a supplemental budget during the 2018 legislative session, which begins in January, that will fully-fund education by the start of the 2018-19 school year. In order to accomplish this, the state will need to allocate approximately $1 billion more to K-12 education in the 2018-19 school year than the current budget. The Court is requiring the Legislature to submit another report in April 2018, at the conclusion of the 2018 regular legislative session, on the progress made towards fully funding by the 2018-19 school year. The Court will then decide whether the changes made, if any, are constitutionally sufficient and warrant a removal of the contempt order. If the Court determines the 2018 legislative action to be insufficient, they will decide if additional Court action is required to ensure full funding of basic education by the start of the 2018-19 school year.